GPCPA3, Acoustic-electric Folk/Western guitar from Martin & Co in the Performing Artist series. 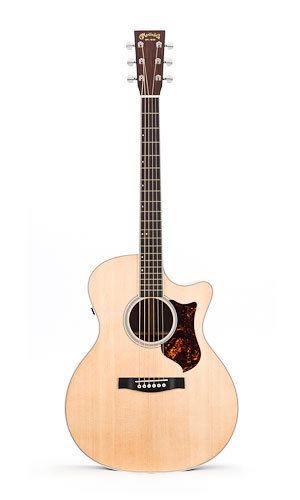 The GPCPA3 is a gloss-top model built with solid East Indian rosewood back and sides and a solid Sitka spruce top. Musicians will enjoy the fast and comfortable Performing Artist neck/fingerboard taper and bridge spacing, according to Martin Guitars. FINGERBOARD POSITION INLAYS: Offset dots - M.O.P. Check out www.martinguitar.com/guitars/choosing/guitars.php?p=w&m=GPCPA3 for more details. 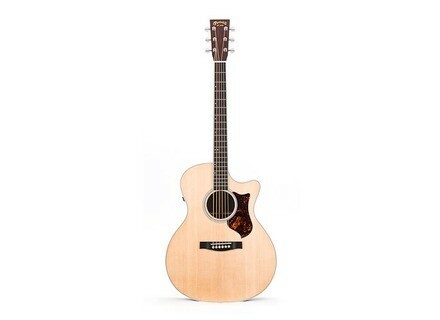 Martin Performing Artist: GPCPA Mahogany Available only in the Grand Performance cutaway body shape, the "GPCPA Mahogany" is the latest entry in Martin's certified wood lineup. Martin Performing Artist: GPCPA2 The "GPCPA2" is crafted with solid East Indian rosewood back and sides and a solid Sitka spruce top. Tascam TC-1S Solar Powered Tuner The TC-1S charges its battery from a bank of solar cells on the front panel, and a USB input is also available for quick-charging when you're completely in the dark.